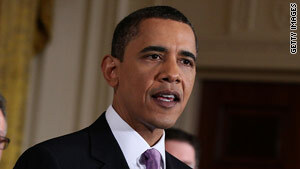 President Obama delivers remarks on health care reform on March 3. Washington (CNN) -- President Obama presented a revamped health care reform proposal on Wednesday that may incorporate, according to the White House, a series of Republican ideas that the caucus has advocated in the past. Combating waste, fraud and abuse: Obama proposes that those in the medical field conduct random undercover investigations of health care providers that receive reimbursements from Medicare, Medicaid and other federal programs. Republicans have advocated for registration and background checks of billing agencies and individuals. During the health care summit last week, Sen. Tom Coburn, R-Oklahoma, asked the president to address the fraud and abuse in public health care programs such as Medicare and Medicaid. "The biggest thing on fraud is to have undercover patients so that people know we're checking on whether or not this is a legitimate bill," he said. "And you don't know who's an undercover patient and who's not. And all of a sudden you start changing your attitude of whether or not you're going to milk Medicare or you're going to milk Medicaid." In a letter to the president, Coburn said: "I am pleased that you may be willing to consider this idea on fraud, but it alone is insufficient to staunch the flow of taxpayer dollars into the hands of criminals. I would encourage you to adopt other proposals that, I believe, would help lower the costs associated with fraud and defensive medicine." At the summit, Coburn said, "One out of every $3 that gets spent doesn't help anybody get well and doesn't prevent anybody from getting sick." He cited a Harvard scholar's finding that "20 percent of the cost of federal government health care is fraud," and that there are estimates of $15 billion a year in Medicaid fraud in New York City alone. "Well, when you look at the total amount of health care that's government run, you're talking $150 billion a year," he said. The bottom line, according to the CNN Fact Check Desk: Coburn's figures overstate the problem by a large amount and, according to one of the experts he cites, does not reflect the uncertainty involved in his calculations. Medical malpractice lawsuits: Obama is also considering a Republican-supported idea to appropriate $50 million to help states find alternate resolutions to medical malpractice disputes, including health courts. Republicans, in their plan on GOP.gov, say they want to end "junk lawsuits." "The GOP plan would help end costly junk lawsuits and curb defensive medicine by enacting medical liability reforms modeled after the successful state laws of California and Texas," according to the Web site. Obama said he is open to reforming medical malpractice suits. House Minority Leader John Boehner, R-Ohio, said liability costs and defensive medicine is "the biggest cost driver." The Congressional Budget Office, though, said it's really only a small percentage. GOP Rep. Joe Barton, a ranking member on the Commerce Committee, said Obama's plan pays "lip service to medical malpractice instead of [enacting] real reforms." Medicaid reimbursements: The president proposes to increase Medicaid reimbursements to doctors -- an idea supported by Republicans. Obama's plan eliminates the controversial proposal added to the Senate bill that exempts Nebraska from paying increased Medicaid expenses. It also provides additional federal financing to all of the states for the Medicaid expansion. "The flawed Medicaid policy in the Senate bill is a disgrace for everyone who needs access to health care because it gives 15 million people a false promise by putting them in Medicaid where they'll face challenges finding providers who will see them," Grassley said in a statement on his Senate Web site. "There's no question Medicaid won't be able to provide adequate access. It's good if the White House has figured that out. The question becomes whether the president is willing to cut spending in the bill to guarantee the poorest people adequate access to care." Obama's plan provides additional federal financing to all of the states for the Medicaid expansion. The president's proposal closes the Medicare prescription drug "doughnut hole." Under current Medicare limits, seniors must pick up the costs once their drug costs reach $2,830 and pay all costs out of pocket until they reach $4,550, at which point Medicare coverage kicks back in. Obama's proposal eases the "doughnut hole" in the short term by providing a $250 rebate to Medicare beneficiaries who reach the limit in 2010. The plan closes the doughnut hole completely by 2020. Health care exchange plans: Obama is considering including language in bill that ensures high-deductible health plans can be offered in the health exchange. The White House said that Republicans were concerned at the health care summit over ensuring that Health Savings Accounts are in a health care exchange program, which was included in the Senate bill. "The GOP plan creates new incentives to save for current and future health care needs by allowing qualified participants to use HSA funds to pay premiums for high-deductible health insurance," according to GOP.gov. "It's "particularly good for the younger, healthier people," Sen. Mike Enzi, R-Wyoming, has said. "They can get that. They've got catastrophic coverage. If they put the amount of money that they would have spent on a Blue Cross plan or some other plan, the difference between the two, into a savings account, in three years they've covered the huge deductible. And they can continue to do that tax-free."